By far your best bet for emulating any pre-Saturn Sega console is Kega Fusion, so-named because it contains a Master System, Genesis, Sega CD, and 32X emulator all in one. The developer ("Steve Snake") isn't just showing off, though--Sega got extra mileage out of its hardware by using each previous console generation's CPU as the sound processor in its successor (such as the Master System's Z80 alongside the Genesis's 68000), right up through the Saturn--so the four-for-one deal makes perfect economic sense, since your emulator app would have to work with all those processors anyway. It's not hard to get Kega started: Download the .zip file, open the .exe, and open a game ROM by going to File, Load [Genesis|32X|Master System|Sega CD] ROM. As a different kind of Sega nerd will tell you, the Genesis's serene-sounding FM chip (its third CPU, for those playing along at home) isn't emulated perfectly--so if things sound a bit different from the way you remember them, that's probably why. Still, it's pretty darn close; and apart from the original hardware, there's no better option. 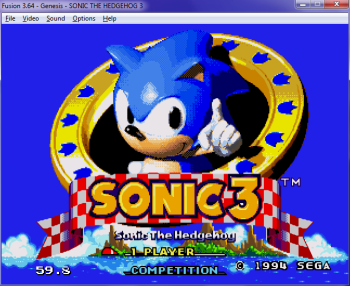 Also, Kega's upscaling plug-ins are distributed separately from the emulator itself. You can grab them from this compressed folder, and just plop them in the Video Codec folder in the emulator directory.